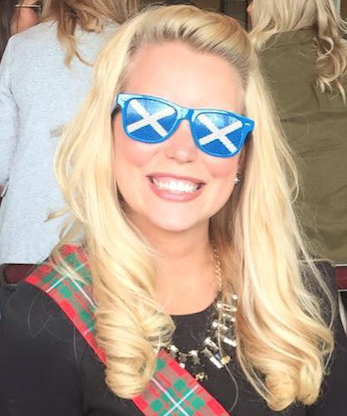 Ashley Finlay is an American expat living in Scotland. Originally from Florida, she finds the lack of sunshine in Scotland hard to handle but loves double-decker buses, castles and royalty. I am originally a Florida girl, but made Washington, DC my home before being seduced by an accent and moving to Scotland with my husband. Florida will always have a special place in my heart and I miss the weather everyday! Washington, DC is my happy place, I think it has the best of everything. It’s a big city that is manageable, it has four seasons and it’s filled with so many cultures and different kinds of people. But now I really enjoy living in Europe and Edinburgh is a wonderful city. I could do with better weather, but I love the history, it’s a great work-life balance and I really love the amount I get to travel! What is your favorite part of expatriate life? Living in a different culture and experiencing a new way of life. When I first moved to Scotland I didn’t think the culture shock would be as intense as it was, because they speak English (kind of) and I knew enough about the UK that I thought it would an easy transition. It wasn’t, but I have learned so much and now I can’t imagine living anywhere else. Culture shock is real! No matter how many times you have visited a country it’s not the same as living there day after day. And being away from your family and friends is hard for the first year. It’s still hard a few years later, but you get used to really appreciating the time you do have together and technology really helps! I would live in Paris in a heartbeat. I love that city and feel there is something so magical about it, as corny as that sounds! Home is a place where you create a life with family and friends. I’m lucky to say that I now have a few homes. I consider Florida my home because I grew up there; DC is my home because I started my career there and I have so many close friends; and now Scotland is my home because it’s where my life currently is. What advice would you give to first time expats? Don’t come with expectations. Don’t think it will be easy. Embrace the culture and appreciate the good that your new country has to offer. Allow yourself to be sad when you want, but get out there and meet new people. Eventually you will find your new family and friends. And feel lucky that you get to call another place home. What has been the most helpful thing in adapting to your home abroad? Having supportive family and friends back home, then meeting amazing friends and having my husband’s family here. Share anything else about your expat life that you’d like us to hear! When I first moved to Scotland, I found starting my expat blog to share my experiences with friends and family as a very cathartic exercise. 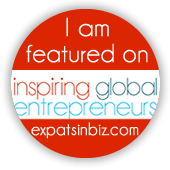 Now it’s an amazing creative outlet that I like sharing with other expats or anyone thinking of becoming an expat. I really enjoy writing about my day-to-day life in Scotland, traveling around Europe and life as a wife to a Scot. Find out more about Ashley by visiting her blog www.cheersblondie.com and follow her on Instagram (@cheersblondie) and Twitter (@CheersBlondie).